All men dream, but not equally. Those who dream by night in the dusty recesses of their minds wake up in the day to find it was vanity, but the dreamers of the day are dangerous men, for they may act their dreams with open eyes, to make it possible. Not my words, of course, but those of British soldier T.E. Lawrence in his autobiographical account of his time with the rebel forces during the Arab Revolt against the Ottoman Turks from 1916 to 1918 in Seven Pillars of Wisdom. Why is it relevant, you ask? Well, two men in the US recently became ‘dreamers of the day’ and boy did they make it possible. 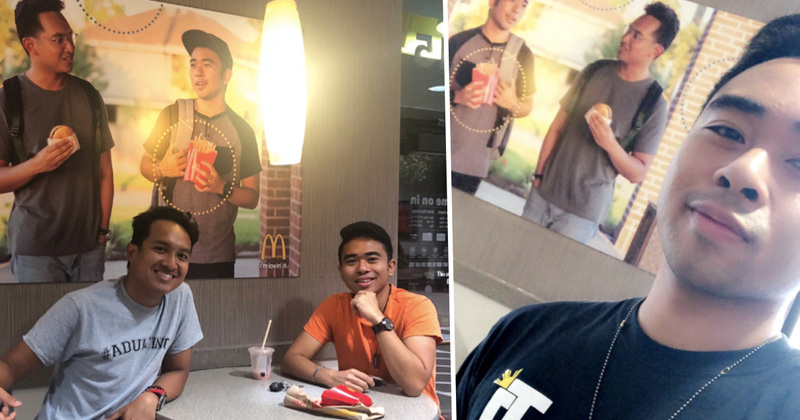 Jevh Maravilla and friend Christian saw themselves become a viral sensation over the weekend thanks to them daring to dream in the form of reinventing McDonald’s advertising. The McDonald’s branch they chose to put up the fake poster, however, was in Pearland, south of Houston. I decided to create the poster after looking around, noticing that there wasn’t any Asians on any of their walls. Crazy Rich Asians influenced me a lot cause I loved seeing people like me on the big screen. I hope I did my part, even if it’s something this small. The likely lads wanted to make the poster look as natural as the others that were hung up on the walls of McDonald’s people roaming round the beach, through the city, all that jazz. Trying to avoid getting caught out, they decided on casual high schooler chic. ‘We took the picture and had office depot ship it to us for around $80. We then stuck adhesives on the back so we wouldn’t leave permanent damage hanging it up so the workers could take it down whenever they wanted to,’ Jevh added. Crazy Rich Asians, which boasts a 93% Fresh rating on Rotten Tomatoes, follows the story of native New Yorker Rachel Chu as she accompanies her long term boyfriend, Nick Young , to his best friend’s wedding in Singapore. Chuffed about visiting Asia for the first time but nervous about meeting Nick’s family, Rachel is unprepared to learn that Nick has neglected to mention a few key details about his life. It pans out he’s not only the offspring of one of the country’s wealthiest families but also one of its most sought-after bachelors. Jevh is all over. The film really made me realize that people like me could make it up there one day; movies, tv, poster ads… Crazy Rich Asians isn’t just a movie, it’s a movement. It’s been 25 years since a motion picture with a full Asian cast was released, so I had to support this historic event. I even went to see the film three times. The poster, as per the tweet, has been hung up 5o+ days and Jevh is hoping it doesn’t go anywhere. I can’t say why it wouldn’t. It honestly feels like a dream, never thought one tweet can make a difference in people’s day. I hope McDonald’s notices. I want them to ask me to be their Asian model representative! Whoever the people were who Lawrence of Arabia spoke so highly of, Jevh and Christian rank among them.